Billy Calbo passed in 2005 and was replaced with Lou Valentino as Second Tenor. After being together for 6 months they produced and recorded their first CD “ Street Corner Doo Wop”. They were discovered by Johnny Z of the WFAS Rock and Roll Revival Show who introduced them the Doo Wop Circuit with their debut on the Golden Oldies Forever shows produced by Tony Derienzo. Their popularity and demand grew because of their polished harmonies and entertaining stage show. 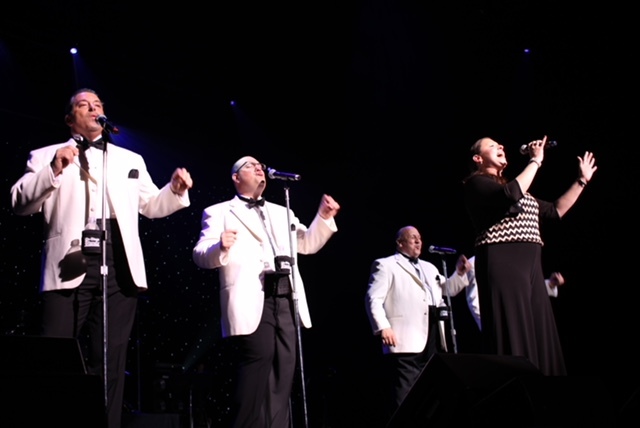 Classic Sounds has shared the stage with the likes of Johnny Maestro, The Drifters , The Platters, The Flamingos, The Harptones and many others. They have released 5 CDs and a well produced live DVD. Classic Sounds have performed nationally and Internationally. Audiences have enjoyed their performances from Milan, Italy to Beijing, China. Classic Sounds has had some minor personnel changes over the years but have maintained their strong core. Steve Aversano left the group to pursue his career aspirations and was replaced by Julie Seda(Bob’s Daughter) in 2007. Steven returned to the group in 2010 to replace Julie who left to pursue her doctorate in education. Julie returned in 2012 to replace Lou Valentino. 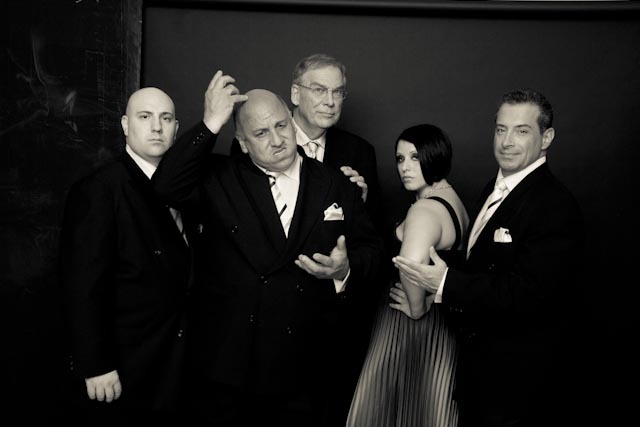 The current configuration of Bob Seda, Gabe Dassa, Alan Fennell, Julie Seda and Steven Aversano has been together since 2012. The group is built upon strong friendships and the love of music. They are 2 time winners of the Sing Strong Acapella Idol competition and 2 time winners of the Don K. Reed Acapella competition at the Izod Center. Their popularity has continued to grow with performances to standing ovations. Classic Sounds ring beautiful Harmonies and bring to stage a wonderful mix of entertainment and music.